Flash is becoming pervasive in today's digital economy. In our personal lives, flash helps ensure we are never waiting for websites to load, never waiting to play our favourite games, watch movies or listen to music on our computers and on our mobile devices. 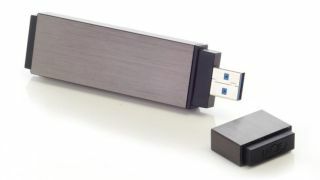 Flash memory also powers many of the data centres that deliver content to our devices, whether we're banking online, or checking in on our friends and family on social networks. Flash memory makes applications run faster – up to 10 times faster, or more – compared to systems relying on hard disk drives for performance. This helps companies find the business opportunity and intelligence in their data at the real-time speeds of our digital economy. However, as flash has become more readily adopted by the enterprise, a few misconceptions have arisen about this powerful technology. Let's take a look at the three most common myths around flash. With the introduction of flash to the data centre, system architectures are changing. Traditional data centre solutions were often priced by cost-per-gigabyte. This is something which worked well in the era of hard drives and storage capacity, but in the modern datac entre, a more appropriate metric is needed when architecting solutions for application acceleration. For example, a business running an OLTP database will architect for performance. Capacity will be allocated accordingly and is often over-provisioned due to the need for multiple drives to meet workload demands. By recognising this and pricing a storage solution based on cost-per-transaction, companies can architect systems that are designed to meet their goals. If flash can deliver 10 or 20 times more transactions, it becomes simple to see that flash is as affordable as it is invaluable. The shift to focusing on processing power, instead of capacity, allows companies to improve the customer experience, save money, consolidate data centres and better utilise infrastructure. In addition, the lack of moving parts in flash solutions means they generate less heat, further improving reliability while reducing operating costs. Savings of this nature help reduce the total cost of ownership in the data centre. Many of the world's largest hyperscale companies have found that spending a little more to architect customised, flash-powered data centres up front allows them to save much more over the life of the datacentre by saving on energy consumption and licensing costs. When flash found its foothold in the marketplace, it was primarily used in consumer electronics. As companies started adding flash to cameras, laptops, MP3 players and hundreds of other devices, it was never really considered for the data centre because it was viewed as unreliable and not fit for enterprise environments. This reputation was fairly justified, as flash found its way into laptops, workstations and servers, the failure and wear-out rate was high. Now, thanks to software optimisation, applications can be given direct memory access to flash without requiring legacy storage controllers and protocols. By treating flash as a persistent memory tier, today's solutions are more reliable than those based on legacy disk architectures, whilst minimising latency and maximising application throughput. The mechanical parts found in disk drives, like platters and heads, decrease reliability and increase latency. Because flash solutions have no moving parts, they are inherently more reliable than HDDs when paired with the right software. However every flash device is different, so it is important to choose solutions that are proven to be enterprise-ready. Just like rubber on the tires on your car, individual NAND blocks can wear out over time. In the early days, flash endurance was around 10,000 writes per cell, however, software optimisations have grown that number exponentially over the years. Today, NAND flash solutions are now capable of write life cycles into hundreds of thousands. Many enterprise flash memory vendors incorporate software features that improve the longevity of flash memory solutions. Called wear levelling, these techniques incorporate powerful algorithms to better manage capacities and ensure every portion of the device receives approximately the same amount of usage. While every data centre is different, modern flash memory solutions that are enterprise-ready deliver more than enough endurance to outlive the lifetime of your server, even in the busiest of data centres. Once you have decided to incorporate flash into your data centre, the next step is finding the right solution. Whether you are upgrading your existing architecture or building out a new data centre, speak to your preferred technology partner to find a solution that easily integrates into your design to deliver the acceleration you need, exactly where you need it. Today, there are a wide variety of flash solutions available that can accelerate your data centre to keep up with business opportunity. Whether your business is a Fortune 500 company or a local business, leveraging flash memory in your server, shared storage or virtualisation infrastructure can help you grow your success, across all of the applications you depend on. Niall Macleod is the technical director for Fusion-io in the UK, overseeing the deployment of flash memory solutions for customers throughout EMEA.